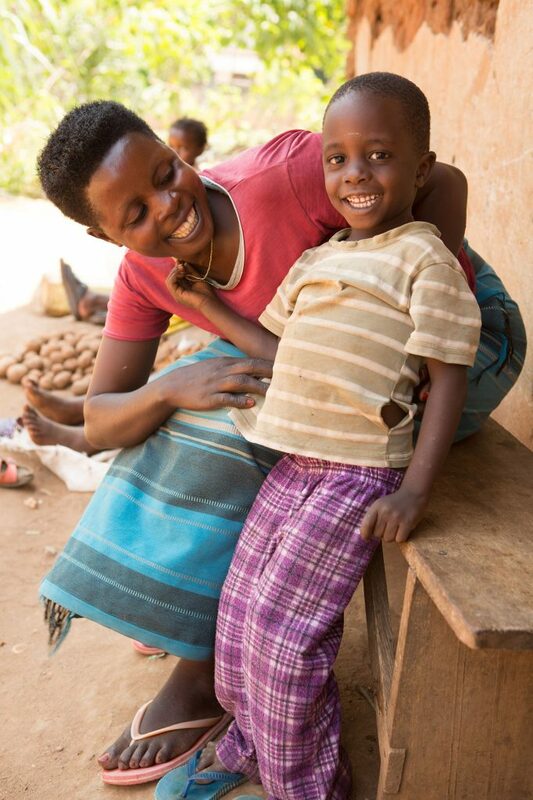 Enid (Mama Steven to her neighbours) lives in Kasubi and is married to Charles, with a five-year-old son called Steven. 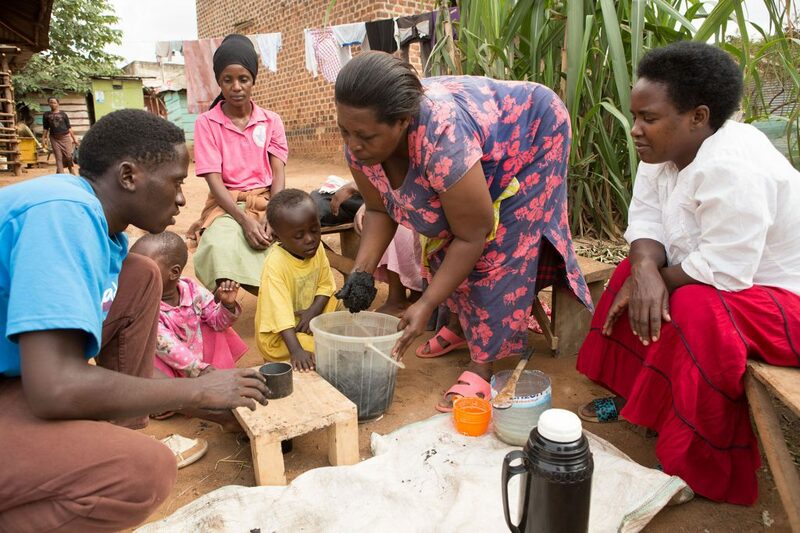 Her house is next door to where the Kasubi Community Group holds its meetings each week and she, with several of her neighbours, are regular attendees. We first met Enid just over a year ago. She had been struggling for a long time with illness and depression and went out of her house as little as possible. Coming from a village where many people practiced witchcraft she felt oppressed by what she had seen and what had been said over her there. She seemed unable to escape the feeling of darkness and despair that weighed her down. This slowly created a sense of division between Enid and her husband, which only served to increase her loneliness. The morning we met her, she had once again been sick and in pain for a number of days. She was sitting in her house that morning when she suddenly felt that she should get up and go outside. Upon looking out she saw the Kasubi Community Group meeting together and the thought popped into her head ‘why not ask them to pray for me?’ The group were more than happy to do this and as they prayed for her she was entirely healed! 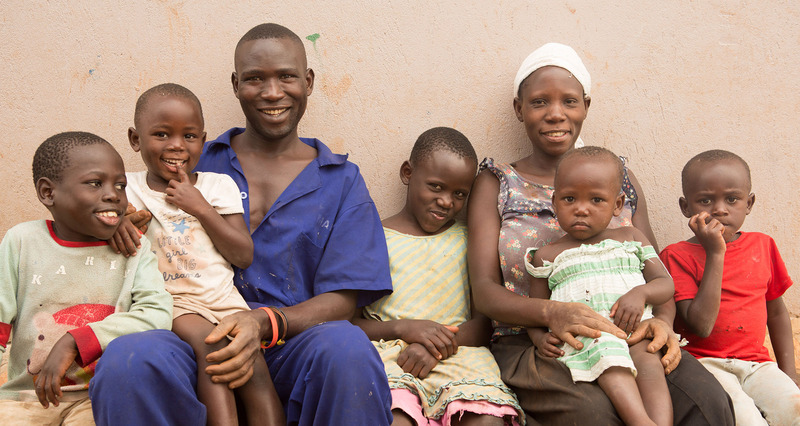 Mama Steven began coming to the community group and the discipleship group every week. The fear disappeared, the loneliness disappeared and the hopelessness was replaced with joy and peace. She no longer feels oppressed by anything and is now confident in speaking out in the group. God has worked within her marriage and Charles has seen such a dramatic change in her. Now they read the bible together, pray and encourage one another daily. She has learnt so much over the last year through the Kasubi Community Group. Among other things; how to stay healthy, avoiding diseases like pneumonia and dysentery, the importance of clean water and how to access it freely through SODIS and making cheap, efficient charcoal briquettes for cooking. Enid is already eagerly sharing her knowledge with her neighbours in the community and supporting others who are also in tough situations. She has also learnt how to save effectively through the savings group, which has given her the desire and opportunity to start her own business.